Wow the Han Solo film press embargo lifts on May 15th! Am shocked as that’s before any of us see it . I wonder why it’s so early? That’s really surprising as the public won’t get to see it for another 9 or 10 days . @AhsokaTano wrote: Wow the Han Solo film press embargo lifts on May 15th! Am shocked as that’s before any of us see it . I wonder why it’s so early? That’s really surprising as the public won’t get to see it for another 9 or 10 days . They must be quite confident in it! @Man Without A Star I can already tell "Lando's Closet" is going to be a jam. A couple of clips! Dare I say that Woody Harrelson might be tolerable in this movie? It seems like we're getting the worldbuilding the ST lacks and I'm ok with that, especially since Solo doesn't focus on the mystical/force side of SW. Using this movie (and its potential sequels) to expand the galaxy and introduce new worlds seems like a solid idea. 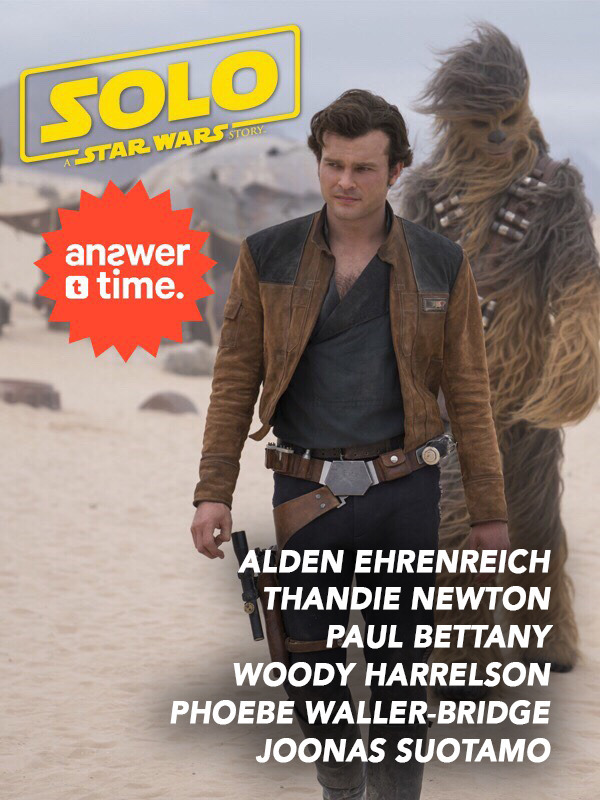 Submit your questions now for the cast of Solo: A Star Wars Story and stay tuned to see if they answer yours in our video Answer Time! If anyone cares, the Solo red carpet premiere is streaming right now. I saw on Twitter that one of the Knights of Rant (CT) is there too. So there is a love theme for Han and Qi'ra. I don't know how to feel about that. But I liked what John Powell said: "But the question is: is it real love? " It seems like Solo is doing well in the initial reactions. There also appears to be some big jaw-dropping secret and "Marvel" level potential in where LF could go. We'll see I'm looking forward seeing it anyway! Wonder what the shocking moment is? Is Enfy Hans mother? Lmao i'm dying to know! @Riri wrote: Wonder what the shocking moment is? Is Enfy Hans mother? Lmao i'm dying to know! Thank you for this! I almost fell from the chair here in the office of laughing. I'll be lurking during the morning as much as I can. Looking forward for all of WTF spoilers! So did the movie plot leak? No but there’s a couple of things hinted at online - one that seems to be setting up something big - one critic said “ stay away from spoilers , big level marvel s*** that will make you wonder where lucasfilm is headed next “. What could it be ??? Kazerhath devices ?? ?unknown regions ? Emperor’s contingency plan? The world between worlds ? Also Messaged someone who said they knew a few things via someone else who saw it and just posted a lot of smiley faces when a picture of Adam driver came up . Ben solo scene perhaps ? They didn’t know but thought like me that it could hint to this . 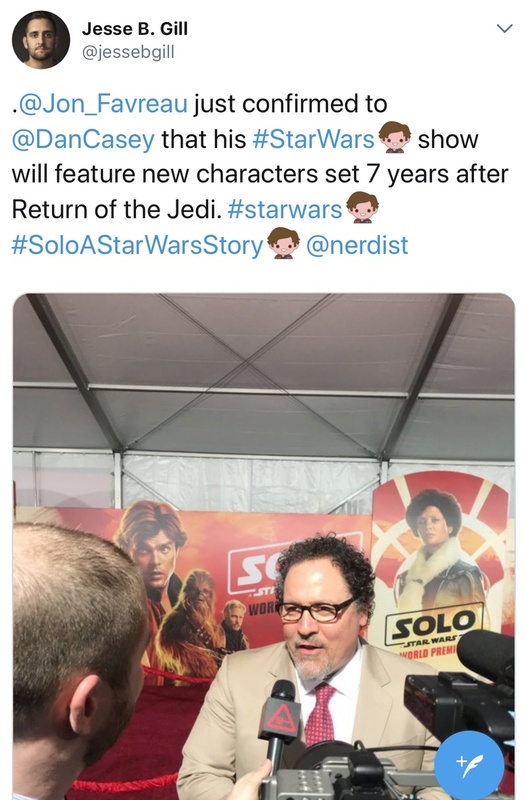 @AhsokaTano Well now I'm really intrigued, especially if Ben Solo is involved. Also, I read 3 spoiler reviews and nobody mentioned Kira being a traitor or breaking Han's heart, seems that she is serious love interest. Maybe these viewers just aren't interested in discussing this, but it's strange. Lmao well that is disappointing. I really couldn't care less about that cameo. Anything on Adam Driver/Ben Solo? Do you have any links to these reviews? How is the Qi'Ra and Han "romance" portrayed? Does it undermine HanLeia? The famous hunter has GOTTA be Boba Fett. 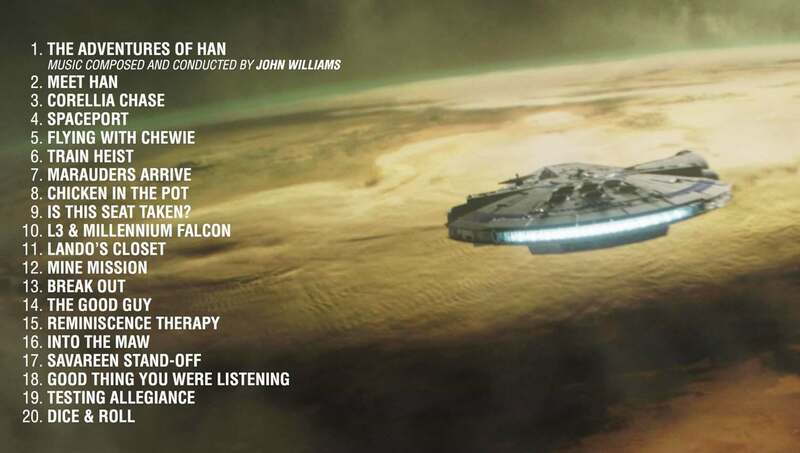 It’s a Han Solo movie after all. As a long time Boba Fett Fan I am super excited about this!!! Lol I know I’m in the minority here with this one but I absolutely loved the mystery surrounding him until GL gave him that sithy backstory in the PT.